Planning, Praying, Playing: How to get rid of hair dye from your hands! How to get rid of hair dye from your hands! Ok, so on Tuesday I mentioned that I needed to sort out my 'silvers' and so as usual I bought a pack of hair dye from a well-known brand and whilst a friend was over, I started to dye my hair. I do not know what possessed me, but I didn't use gloves!!! : ( By the time I realised, it was too late. Why the friend didn't advise me is a mystery to both of us - it was only when Mr O walked in and asked what I was doing did I take note of the fact that my hands were changing colour! * Note that adding more hair dye to try to 'dissolve' the stain did not work for me! - Vanish stain removing spray! *** Finally note that I tried all these 'treatments' in the order listed above, you can see the desperation! Why can't I be one of those hippified people who wears bright colours and jewellery that jingles as I skip barefoot (yes, skip!) across white sands and who rides a bicycle with a hand-woven basket - all whilst casually carrying an acoustic guitar across my shoulder and sipping on carrot and ginger juice. 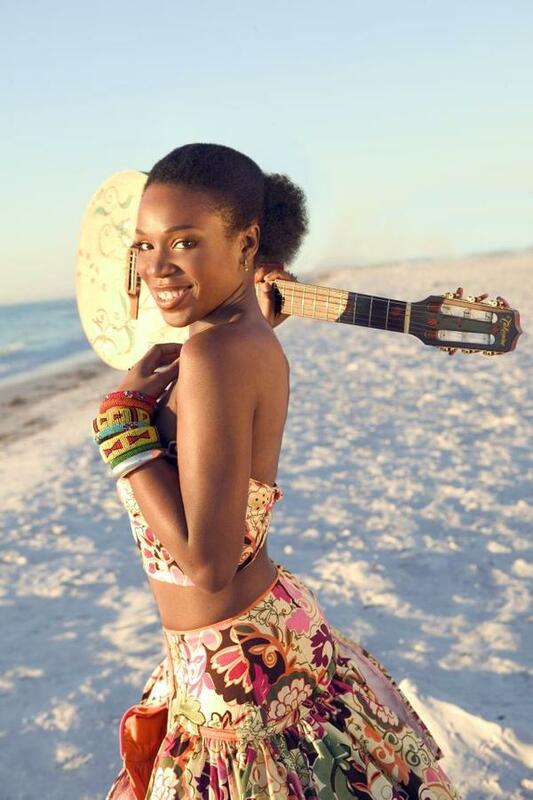 Maybe I just want to be India Arie herself?!?! Anyway, lesson learnt: Wear gloves when dying hair at home or just stop being a sissy and go the salon! Until the next time though, I'm going to start finding out a bit more about natural hair dyes... I have 6 weeks to come up with a natural, more hair, and apparently, hand- friendly, solution!